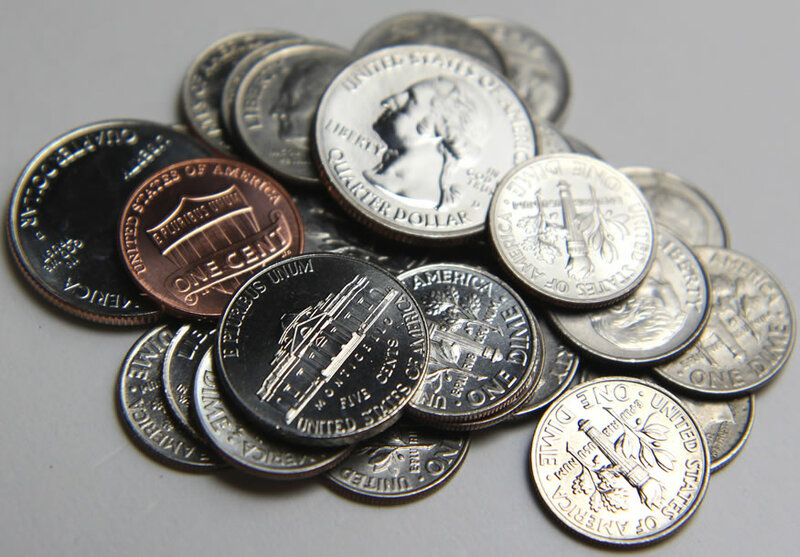 U.S. coin production rebounded in May to its highest level since January after dropping to a four-month low in April, the latest manufacturing figures from the United States Mint show. U.S. Mint coining presses struck for circulation more than 1.29 billion across cents, nickels, dimes and quarters, marking increases of 47% from April and 11.7% from May 2017. The Federal Reserve always orders more 1-cent coins than any other denomination even as it costs the U.S. Mint 1.82 cents to make and distribute each one. The bureau minted 723.2 million Lincoln cents in May, representing 56% of the circulating-quality coins produced for the month. 32.6% for America the Beautiful quarter dollars. However, the agency in February did produce 1.8 million more 2018-D Kennedy half-dollars. Then in March, it struck another 3.2 million from Denver and 1.2 million more for Philadelphia. None were made in April or May. Mintages for the half-dollar are at 5.4 million from Denver and 4.8 million from Philadelphia for a combined 10.2 million coins — the most since 2001 and more than doubling 2017. Last year’s release ended with splits of 2.9 million from Denver and 1.8 million from Philadelphia for a combined 4.7 million coins. U.S. Mint facilities in Denver and Philadelphia manufacture all of America’s coins for commerce. Last month, the Denver Mint made 646.68 million coins and the Philadelphia Mint made 645.08 million coins. For the year to date, the Denver Mint has produced 2,792,620,000 coins and the Philadelphia Mint has struck 2,948,854,000 coins for a combined 5,741,474,000 coins — 9.4% fewer than the 6,335,380,000 coins minted in through the first five months of 2017. The 2018 monthly average of about 1.15 billion coins tracks over 12 months to nearly 13.8 billion coins. In 2017, the U.S. Mint produced over 14.8 billion coins for circulation — the third quickest for a year since 2001, after the more than 16 billion coins were made in 2017 and the over 17 billion coins were made in 2015. In April, the U.S. Mint published Apostle Islands quarter mintages for the first time. It turns out that those were initial figures as they were updated in May to 213.4 million quarters from Denver and 223.2 million quarters from Philadelphia for a combined 436.6 million quarters — the highest amount since the fourth 2017-dated quarter commemorating Ellis Island in New Jersey. There are 108.8 million in quarters that the U.S. Mint hasn’t officially assigned to a design yet. Most likely, they are a portion of the Voyageurs National Park quarters. They are all at your local McDonalds! Burger anyone?